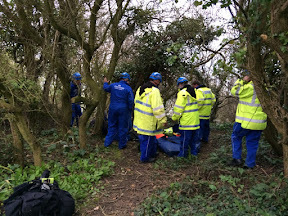 The training continues for the team with an exercise to test locating a casualty, first aid and extracting the casualty to a safe location. 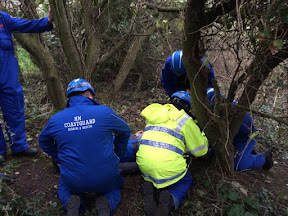 Casualty located - young man fallen out the tree with a head injury. 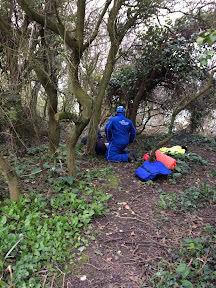 It's all a bit tight but the casualty is carefully strapped to the stretcher and then the long carry out.